Nearly all mobile phones from around the world will also work here. The only exception might be older phones from outside Europe that aren't dual band. Is your home provider based in the EU? If so, congratulations - no roaming charges as of June 2017. Otherwise watch out for potentially hefty fees. If all you need to do is send a postcard or a letter, there’s no need to visit a post office. Pretty much any kiosk will sell you stamps, just make sure they’re the right value for what you’re sending and where. Once you’ve got your stamps licked and affixed, drop your mail in any post box. These are the small orange boxes attached to buildings around town. Don’t put your mail in the dark green boxes with round holes in the sides. Those are trash bins. There are no pay-phones in all of Estonia. If you wish to call inside or outside the country you’ll have to arrange to do so from a landline at your hotel or by using your mobile phone. Rest assured that the same mobile you use in Europe or the UK will also work here. If you have a lot of local calls to make on your mobile, we suggest picking up one of the many starter packages sold a supermarkets, petrol stations and R-Kiosks. The kits include a SIM card and a certain amount of calling time. To call any Estonian number, fixed or mobile, from within the country, just dial the number as written. Estonian mobile numbers all begin with '5'. To call Estonia from abroad, dial your country’s international access code, then Estonia’s country code, +372, then the number. To phone abroad from Estonia, dial ‘00’ then the country code and number. To call any telephone in Estonia from a foreign mobile account, dial +372 followed by the number, as outlined before. By now, most of the world has heard that Estonia is a pretty tech-savvy country. In fact, much of the country is blanketed in WiFi or wireless internet hotspots. From long-distance buses to cafeś, pubs and even some shops and public areas, WiFi is everywhere. 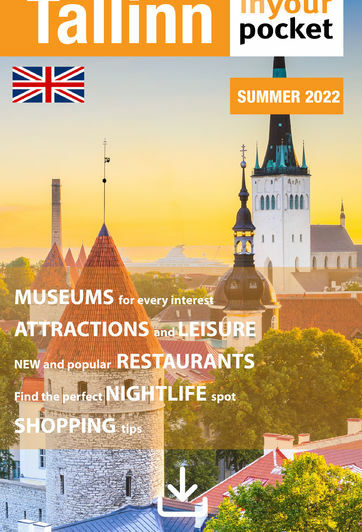 If you’re a foreigner visiting Tartu, this means you’ll be able to check emails, Skype with friends back home or share photos on Facebook using your smartphone, tablet or other mobile device - free of charge. Just look for the orange and black WiFi sign and you’re good to go. With all that free WiFi around, you’ll also want to download the free In Your Pocket app, available for IPhone and Android, see iyp.me/app.